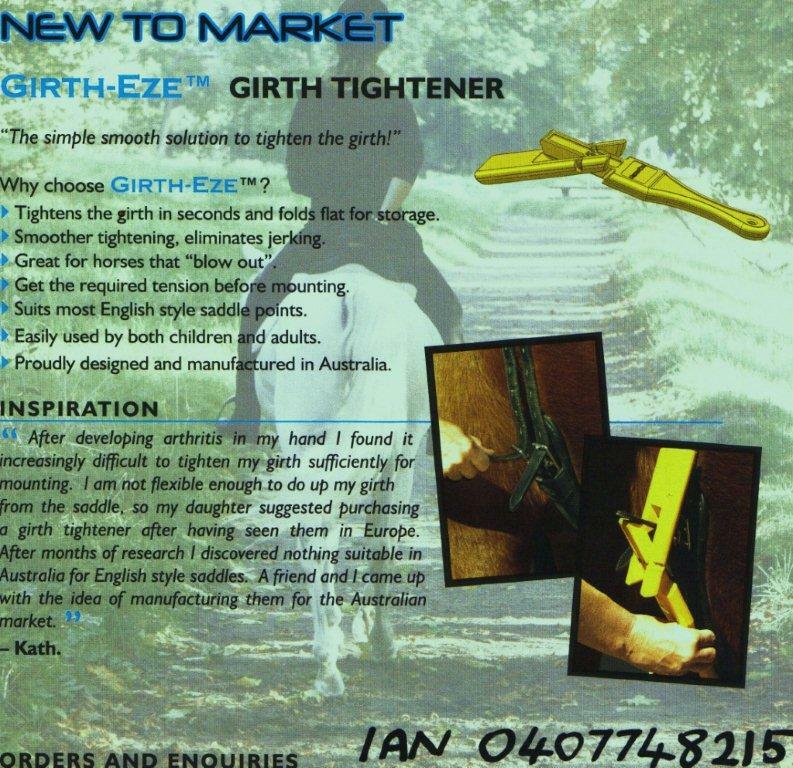 Girth-Eze takes all the hard work out of tightening the girth. Especiallywhen rider is short and/or horse is tall. 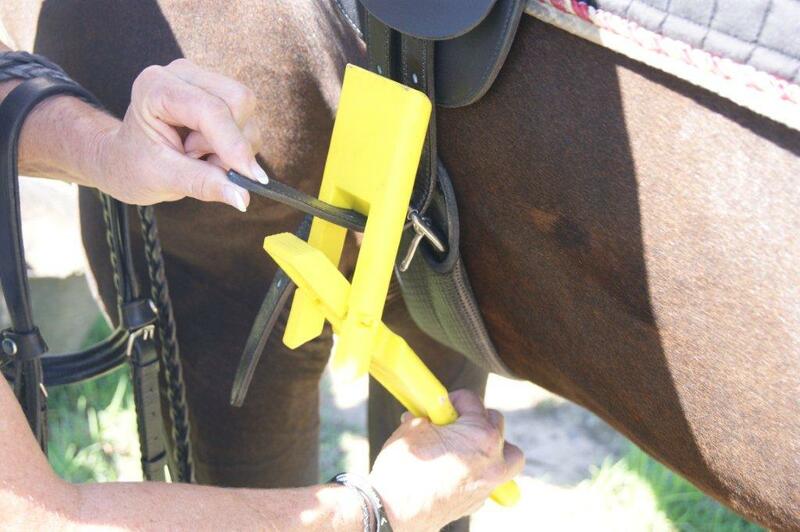 Even high connection buckles ( eg.jump saddles) are made easy. 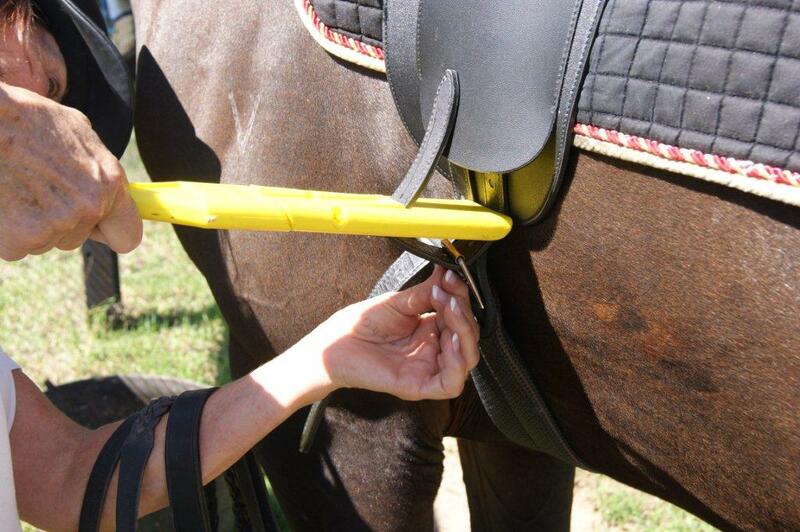 By using simple lever action, with VERY little effort, you can tighten thegirth to whatever tension required. 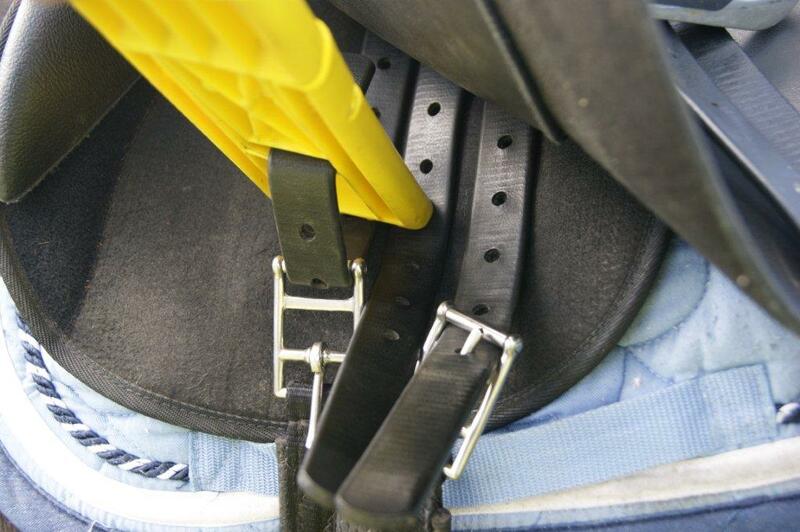 No matter what strength the strappersgrip or arm. 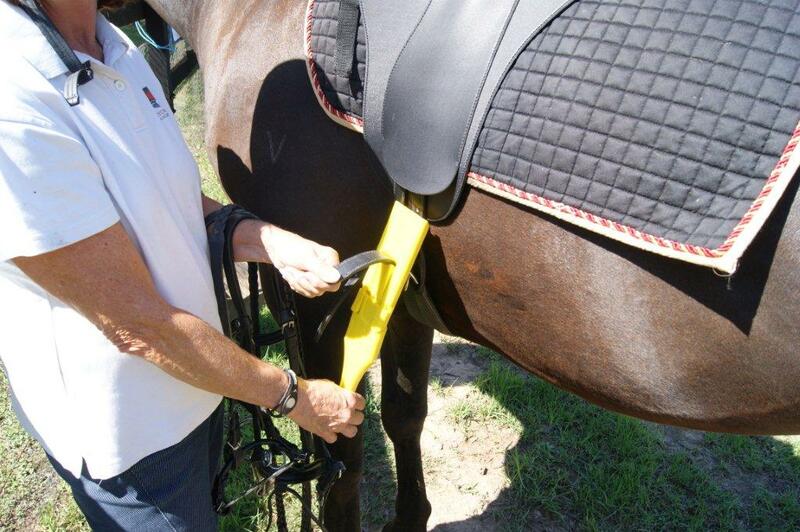 Yellow in colour, so easily spotted amongst your Saddlery, or if someoneborrows it !!!! Very durable and long lasting. Comes with full replacement againstbreakage!!! !